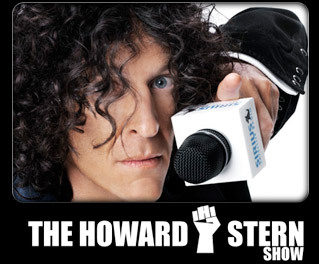 December 2010 Update - Stern re-signed for another 5 year deal at Sirius and he has said that Howard 100 and 101 will be part of the lineup on the iPhone/iPod. Pocket Tunes Radio is an application available in the App Store ($6.99) that streams a large number of online stations. The application can also stream the content from the online Sirius feed which includes the Stern channels. In order to make this work, you will need to buy this application (one time 6.99 cost) and also have the online streaming ($2.99/month) and you are all set. The pro's of this method of listening to Stern are that you can virtually get access to the channels anywhere you are as long as you have Wifi or good data speeds. Also, the price is only 2.99/month or lower if you have annual subscriptions etc. The downside is that if you are in the car, you may get spotty signal and also crackling sound on your stereo. The iPhone Skydock is a new adapter that can be attached to a car (uses the standard charger output) and converts your iPhone into a Satellite radio. Unlike the Rocket Tunes option, the signal comes from the satellites so you are guaranteed of a better reception and signal. The problem with this is that the product comes from XM (not Sirius) so you have to subscribe to XM (for full price) and then get the Best of Sirius package. The total cost will work out to around $17/month. Also the Skydock works only in the car and costs about $120. The Skydock communicates with your stereo over FM and in crowded markets such as NY, LA or Dallas, its tough to find a good frequency as well. The Skydock also plays your iPod as well. The Skydock does have an auxillary out so if your car stereo supports that you are in luck. These are the two ways you can get Stern on your iPhone. Given my listening pattern (I spend about 40 mins in the car everyday) and also listen at work, I prefer option 1. I also have a Skydock that I uses mainly as an FM transmitter and have not activated my radio as yet. Maybe if Stern renews, I may consider doing that. There are rumors that they will introduce new products at the CES and new options may show u or maybe Stern will allow them to broadcast on the Sirius application. Until then, seems like this is what we can do.